This is a powerful story about the author’s walk with Jesus Christ. This is a powerful story about the author’s walk with Jesus Christ. She is able to let go of old baggage, to release fear, doubt and worry, by learning to trust Jesus and the guidance of the Holy Spirit. It also describes that there is freedom in obedience to the call of God on your life, without asking questions, or explaining it away. 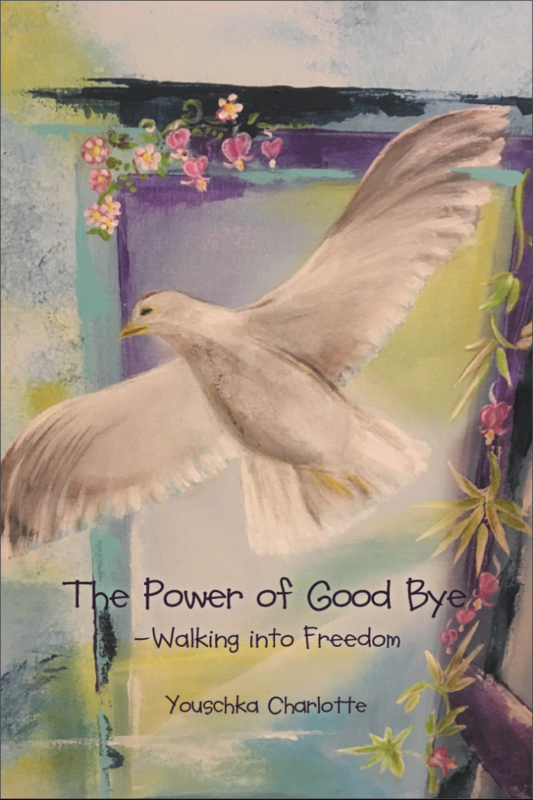 She relates how letting go and saying good-bye to circumstances and situations that are no longer necessary, and having the courage to step out of your comfort zone, gives you wings to fly. Trusting Jesus in all those sometimes painful moments of good-bye, and surrendering all to him, believing that he knows best, and that his plans for your life are good plans, sets you free to be who you were created to be and to walk into the fullness of life. At the center of this book is the all-encompassing love of God to mankind, and how Youschka found the greatest love of all, the love of Christ within, where all hope is found.